Easy to use GIF Maker, very simple! no complicated! by Choosing Picture by Picture. 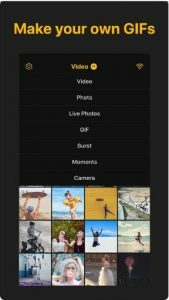 Send the GIF made automatically by your Live Photos, Burst, Video, GIF stored in Photos app without leaving your conversation.